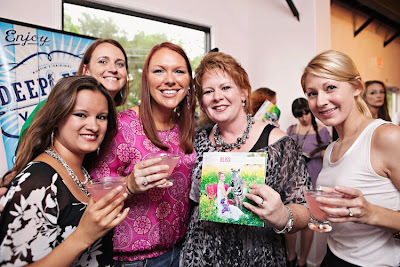 We had the honor of throwing the Bliss Bridal Magazine Launch party at Posh Bridal Lounge one year ago today. Happy birthday Bliss! Deep Eddy Vodka provided this fabulous cocktail for the party, and we had all-but-forgotten about it until recently. We decided it would be the perfect fit for the relaunch party for Posh Coworking yesterday! 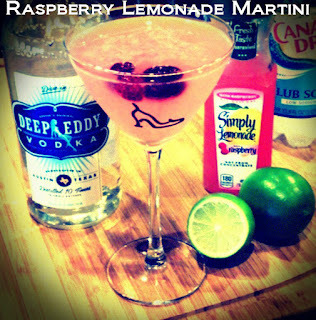 It is only appropriate that we feature this Blissfully Posh Cocktail today. If you choose to serve it in a Collins glass, you can pour the ingredients over ice and garnish with a lime wedge and fresh raspberry. If you choose to serve it as a martini, shake the vodka and lemonade with ice, pour into the martini glass, add only a splash of club soda and squeeze of lime, and garnish with frozen raspberries. Here we are at the Bliss Launch Party (with the very first issue of Bliss) last year at Posh Coworking Lounge with Connie, the Dessert Diva!